Timothy Isaacs is the Director of Education for The Virginia Law Foundation and The Virginia Bar Association working together for the Rule of Law Project. 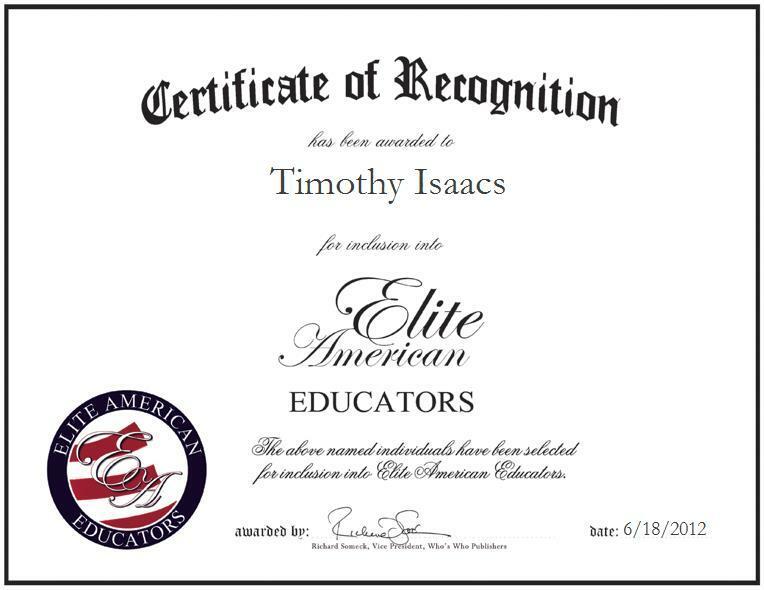 An expert on gifted education, Mr. Isaacs is primarily responsible for maintaining website content, training lawyers and teachers, and introducing the program into classrooms. He became involved in his profession through his personal convictions about how the country was handling the Vietnam War, which prompted him to enter public education. Now nurturing a skill set that has been refined over the course of a career that has spanned more than 46 years, Mr. Isaacs remains abreast of trends and developments in his field as a member of the National Council for the Social Studies, and ASCD. He looks forward to working with Legacy International, a program that brings jurists, educators, economists and lawyers together in the United States, in the future.